يتميز Genesta House بحديقة منعزلة، ويوفر أماكن إقامة بوتيكية في منزل تم تجديده يبلغ عمره 100 عام، ويوفر خدمة الواي فاي المجانية، ويبعُد مسافة 5 دقائق سيرًا على الأقدام عن شاطئ كاوز والعديد من خيارات تناول الطعام المحلية. تحتوي غرف الضيوف المكيفة بالكامل على بطانيات كهربائية ومشغل دي في دي وتلفزيون بشاشة مسطحة. ويشتمل الحمام الداخلي على لوازم استحمام مجانية ومجفف شعر. يقع Genesta House على بعد 20 دقيقة بالسيارة من Penguin Parade & The Nobbies Centre. تقع حلبة سباق الجائزة الكبرى فيليب أيلاند ومركز حفظ الكوالا على بعد 10 دقائق بالسيارة. ويبعُد مسافة ساعتين بالسيارة عن وسط ملبورن. The owner was very friendly and helpful. Location is great, close to the city centre but quite as well. The lively host, the super comfortable bed and the close proximity to the beach and main strip. Lovely overnight stay. Very cozy and homely. Owner is very friendly and generous with advice. 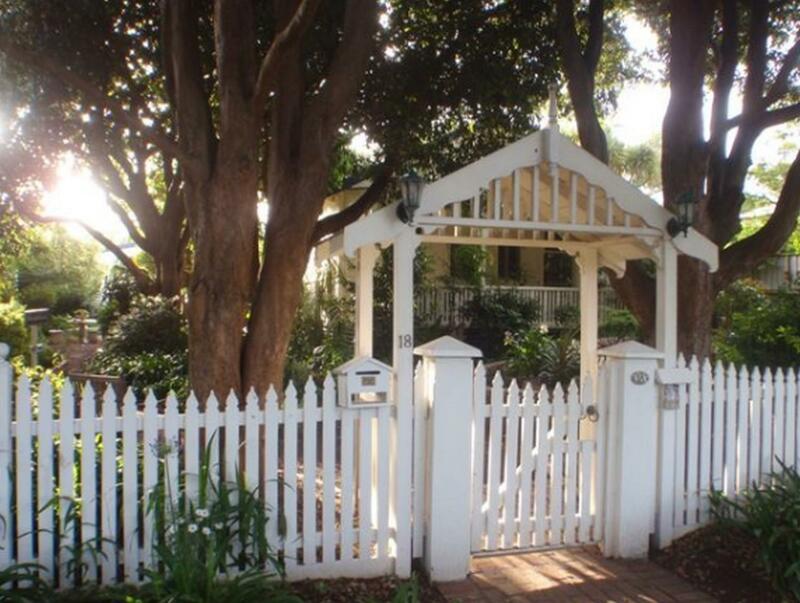 The property has lovely gardens and is located near all the main attractions. The room and bed were very comfortable. A great little hideaway for a weekend with a loved one. Genesta House B&B is run by the lovely Susan who was an impeccable host. We stayed for one night and we couldn't have asked for more! 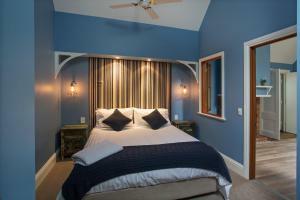 The B&B is situated on a quiet street with other hotels/apartments. There was plenty of (free) street parking. The main promenade of shops and restaurants along the seafront/ pier were just a 5 min walk away. Top attractions like the Penguin Parade and The Nobbies were a mere 15 min drive away. Rooms were cosy and clean, with good heating. We stayed one night at Genesta House and really enjoyed our time there. Susan was friendly and the room was comfortable. Attentive, friendly staff. Attention to detail. Beautiful surroundings. We stayed one night. The lady was lovely and very attentive. There were chocolates and a bottle of port in our room, which was beautiful and homely. The upkeep was amazing, the gardens gorgeous, and the breakfast room had a beautiful view over the courtyard. Would definitely recommend. We enjoyed our stay at Genesta House, The owner Susan let us stay a few hours longer with no extra cost.Shes so kind and really cares about the guests.Genesta house has a lovely garden that Susan looks after. Nice breakfast, peaceful surroundings and located close to everything, beach and shops etc..Susan is the type of person we could talk to all day and never get board.We felt very welcomed. Thanks to Susan. It was one of the better B&B I've stayed in. The owner was most welcoming and the room was comfy and a little romantic. The place is very clean, quiet and elegant. The host was so nice. The place is located within walking distance to shops, restaurants, and the beach. Excellent. It is a wounderful place. The owner is a nice lady. She would try her best to render assistance to us. We enjoyed our stay at Genesta House. A delightful place to stay. In a quiet location, but only a short walk to town. Susan was lovely and cooked the most amazing pancakes for breakfast. We will definitely be back. The hostess Sue was very accommodating and nothing was too much trouble. The house is a lovely setting with a fountain out the front and a nice garden setting. It is close to the centre of town (a short 5 minute walk). We will be heading back to here when we return to Phillip Island. Warm welcome. Pretty garden. Good location. Comfortable clean room. we enjoyed staying at genesta. the owner was welcoming. the breakfast was continental only, and i think for the per night perhaps it should be a full breakfast. however, what was available was adequate, and plentiful. the place is well cared for, and there were thoughtful touches, such as port and lindt chocolates in the room. we recommend genesta! We were pleasantly surprised by the attention to details given, to the toiletries (gd grade), snacks and best of all breakfast. It's a home away from home, friend away from home.